The Autumn lesson plan encourages children to examine and cherish the special treasures that the season brings. Exploring rhythms, sounds and actions inspired by the fluttering leaves and falling conkers in the wind. Autumn is such a wonderful time of year. There are so many great ways to explore the changing season and this Autumn lesson plan invites children to examine and explore the treasures that they can find on their travels. They all have different names, sounds and rhythms from fluttering leaves to falling conkers. This music lesson plan is 15 pages long, including 6 printables. 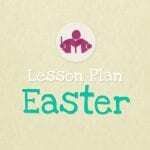 This theme is suitable for children from 2 and a half – 7 years. The younger ones will enjoy all the lively movement and older ones will have fun with the rhythm and treasure game. 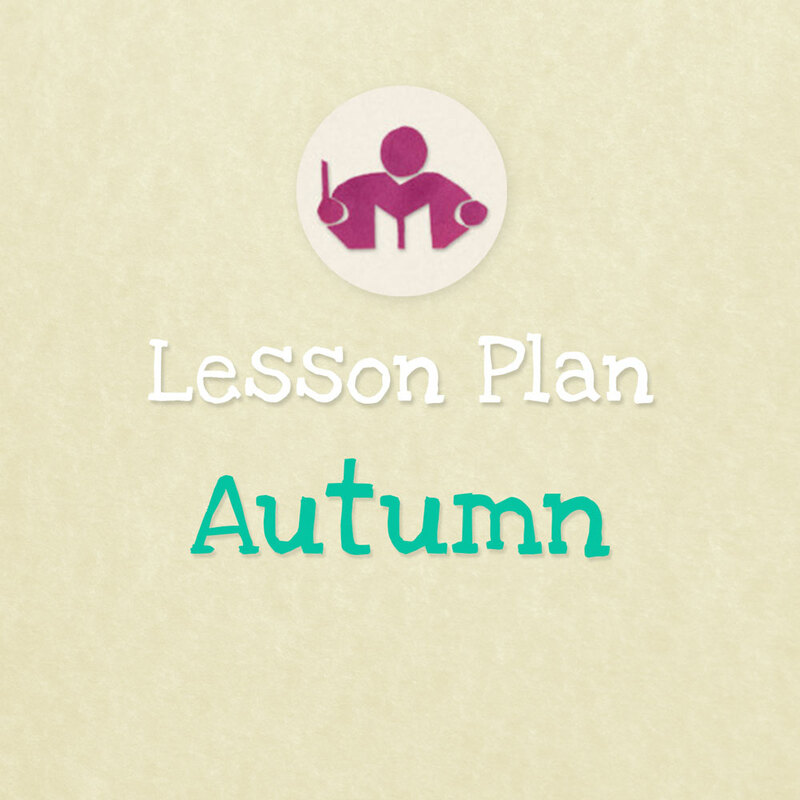 It’s a thirty minute lively lesson that explores the different sounds, actions and rhythms inspired by the beautiful autumn season. Practicing the So – Mi interval, playing chime bars and singing solo responses. 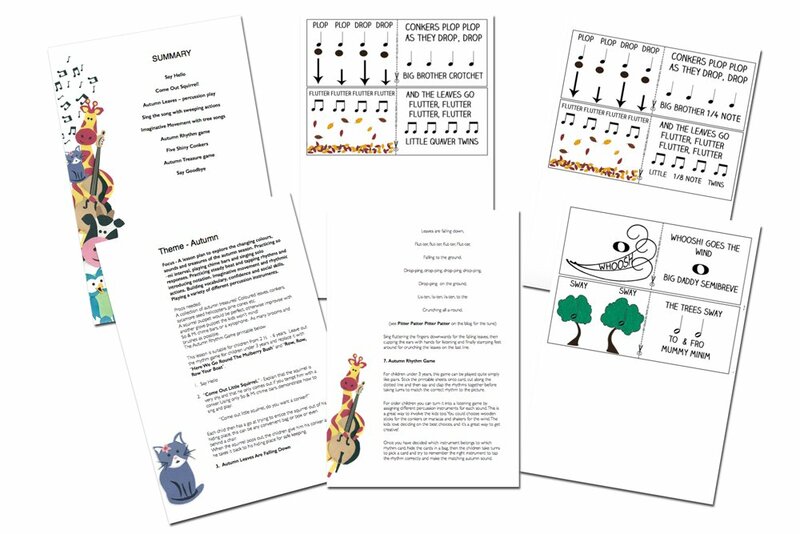 The printable rhythm game in this lesson plan pack includes both a European version with quavers, minims and crotchets, and an American version with eighth notes, quarter notes and half notes.